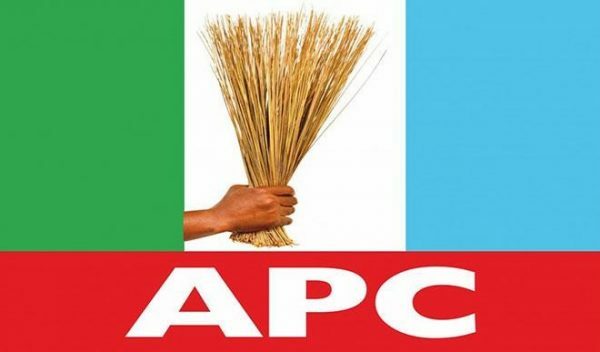 Political analysts have continued to raise serious concerns over how after being in control of Zamfara State affairs for many years, processes have not stopped the APC from being collapsed following the deeper cracks on the walls of the party. Governor Abdulaziz Yari and the aggrieved governorship aspirants, otherwise known as the G8 have continued their raging battle of supremacy which has shaped Zamfara State APC’s political matrix and the key actors have continued to step down for each other. Since the unceremonious primary elections allegedly singlehandedly conducted by the governor which the group described as kangaroo elections, the state wing of the party has not witnessed any form of peace. Most of the committees inaugurated by the national headquarters of the party claimed that the election from the wards to the state level did not follow due presses, and the national headquarters agreed with them while supporters of the governor said that to the best of their knowledge, proper elections were conducted. This led to a series of litigations. While the High Court sitting in Gusau, the state capital upheld the primary elections, the Abuja Federal High Court, on the other hand, disqualified the elections. Senator Kabiru Garba Marafa, the leader of the G8 had advised president Muhammadu Buhari not to visit the state, assuring him that whether he comes to the state or not, Zamfara people would still vote for him. He, however, noted that if president Muhammadu Buhari insisted on coming to the state while the political atmosphere is still hot, he would, in turn, organize his own faction to receive the president. The serving senator said that coming to the state would amount to dignifying governor Abdulaziz Yari, saying that he was not coming to the state because of any busy body of the governor. Actually, the president refused to give anybody the APC flag, noting that the case was still pending in court. It was again gathered that the faction of the G8 led by the senator has arranged to hold a rally in the state on Wednesday but it’s not clear whether the security agencies would give the faction the opportunity to hold the rally due to security reason. It could be recalled that before 1999 general elections Zamfara was purely a PDP state but the same internal crisis broke down the walls of the party due to power tussle within the party. That was when Mallam Abdulkareem Yahaya was fighting for the governorship position with Ambassador M Z Anka which eventually the ticket was given to Ambassador MZ Anka and that began the terrible end of the party in the state and then anti-party activities started. That gave Alhaji Ahmad Sani Yarima the ample opportunity to win the 1999 governorship election even though the PDP managed to get seven local government areas out of the fourteen Local Governments’ but Sani Yarima won with numerical strength above Ambassador MZ Anka. Then Yarima had to implement Sharia to block every chance of PDP winning in the state in 2003 and that was how the PDP continued to lose in every election in the state until the party could not even produce a councillor in the whole state. And today, the same thing that happened in PDP in 1999 is gradually glaring which even many people in the remote areas can testify that there are deep cracks on the walls of APC in the same state. Senator Marafa has made it very clear that he and his camp would prefer to shift their loyalty to the National Rescue Movement (NRM) in the state rather than to join Abdulaziz Yari and his camp if they are endorsed but said they would still remain loyal to president Buhari and the APC at the national level. Though the other members of the G8 group have remained silent concerning who they would give their support to in the state. It is very obvious that all of them are presently battle ready with governor Abdulaziz Yari and his camp. Is Nollywood Bad Boy Jim Iyke Planning A Political Move?